Royal LePage has been a provider of real estate services since 1913 and is Canada’s fastest growing real estate franchisor with over 17,400 sales representatives and staff in more than 560 offices from coast-to-coast. More REALTORS® per company = more sales representatives working on your behalf! Also, the majority of other large companies are American-based franchise operations. Recognized as a North American industry leader in technology, Royal LePage is committed to providing its sales force with the tools and training they require to meet the needs of a changing consumer. As outlined in the Globe and Mail, the Royal LePage website is the best Real Estate site in Canada and the third best in North America, receiving 200 million hits per month. Homes for sale can be viewed by Buyers 24 hours a day, 7 days a week. David has sold homes to clients from all over the world thanks to the Royal LePage website. A great way to find your new home! Check us out at www.royallepage.ca. Most importantly, Royal LePage is committed to making your buying or selling experience a positive one by providing you with tools you need to familiarize yourself with the process. Check out their Home Buying, Home Selling, and Home Ownership Series at Royal LePage TV. WHY CHOOSE ROYAL LEPAGE PROALLIANCE REALTY IN THE QUINTE AREA? Royal LePage ProAlliance Realty is the largest Real Estate Company in the Quinte & District area and it is one of the three largest Royal LePage franchises in Canada. Royal LePage ProAlliance Realty is locally owned and operated and, as of 31 December 2016, employs 356 REALTORS® from Port Hope to Brockville. Potentail buyers for your home are referred within this large network. The Trenton Royal LePage ProAlliance office is just a couple of minutes from CFB Trenton and, based on Quinte District Association of Realtors® Inc, Royal LePage has captured more than 50% of the market share in the Quinte Area for the past number of years. Royal LePage ProAlliance Realty has exclusive use of the Quinte Mall Real Estate kiosk which is visited by over 100,000 people weekly. Here, the public can view a colour photo of your home and talk with one of our duty staff about your property. An excellent resource to market your home or search for that new property. Royal LePage also has exclusive use of the kiosk at the 8 Wing Trenton military retail outlet. From this location base personnel, and particularly families in rental accommodation, have an opportunity to view your listing. 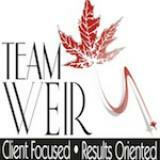 Another great reason to list with Team Weir! Brookfield Global Relocation Services, the parent company of Royal LePage Relocation, is the recipient of the Federal Government and other multinational company relocation contracts, which contributes to the visibility of the company and its clients. Because of the role of our sister company in these contracts, we are very well versed in the intricacies of relocation procedures. There can be scores of Federal Government transfers in the Quinte area each year!